Life lived for others means yours is a living sacrifice. It’s so easy to take it easy. Turning away from confronting your own pain and ugliness seems freeing. Running away from the pain of others also looks like safety. But there is no healing when pain is avoided. An honest life is a brave life. Navigating your own reality and standing with people as they confront theirs risks your comfort. Life in Christ is heavy. It’s only made light by giving your burdens over to Him. To do that, you must be close to Him and bring Him into every moment of your life and move you make. When He is part of your mourning, He truly gives comfort. When He is recognized in your joy, He gives you His peace. He desires to be close to you and stand with you through the dark and the light. Running away when it’s dark will only make the burdens heavier. Life is not made light by avoiding what is heavy, but by embracing what is heavy; by entering so deeply into life with Him that pain is real, struggle is real, and therefore healing and joy are real. The Lord took on flesh to be a voluntary sacrifice. The light of the empty tomb comes after the Cross. Dying for others as He did means suffering with and for others as He did. And their joy will be yours. Their peace will be yours. Their healing will be yours…when your life is given away for them. This is when you find your true self…by being willing to lose yourself. Equipped leaders make our trips impactful and transformative. We send at least 3 leaders on every trip. The most valuable thing you can do for our program is to invest in our leaders. By offering them the hands-on experience of leading a trip, you give them opportunity to grow in their YES leadership abilities and in their lives as servants of Christ and His Church. Help us provide financial assistance to students who are unable to offer a trip donation. 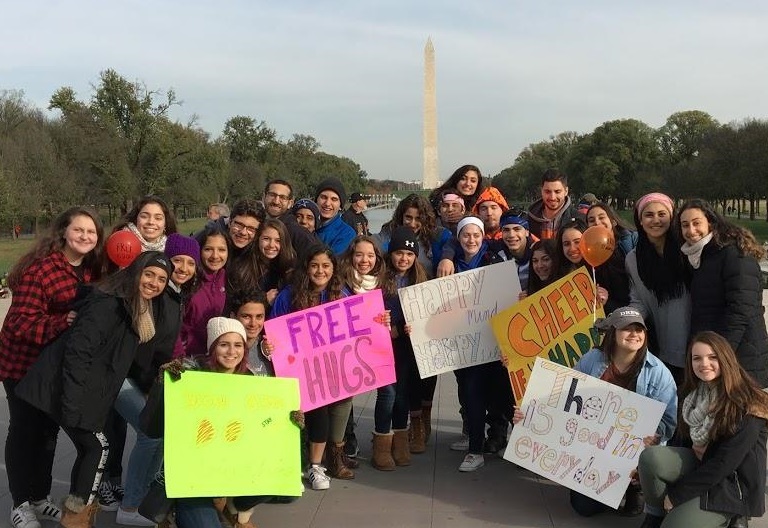 “The YES College Day was an excellent experience because it looked at service through a different lens than the traditional service project day. Though coat drives, dinners, and other traditional activities are excellent ministries and incredibly necessary, YES focuses on interacting with the community in different ways. Through personal level interactions with the community, we appealed to many different types of poverty that those around us struggle with. These situations bring out the love, patience, joy, and other fruits of the Spirit in us and whoever we are interacting with.